TBI: A British Council Impostor? A few days ago we announced the pleasing news that The British Council, already in Medan, will be opening schools in Jakarta and Surabaya too, opening around March 2015. This will provide another respected, reliable alternative to unscrupulous local operators such as TBI (PT. Titian Buama Ilmu) or (even worse), Rumah Bahasa, a rogue school which has scammed scores of customers out of hundreds of dollars each. Why should TEFL teachers and Indonesian students have to be misled and cheated by schools like TBI and Rumah Bahasa? Surely, we all deserve better. In The British Council, students and teachers get a trusted and respected institution instead- a safe pair of hands. But what many people will not be aware of is TBI’s history of trying to confuse and mislead the market by associating themselves with The British Council. Hoping to boost their image by virtue of association, they have long tried to ride to glory on The British Council’s coat-tails. 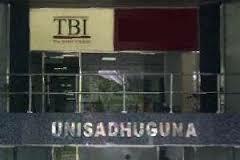 The most obvious, or perhaps infamous, example of this was surely the choice of location for TBI Sudirman. This isn’t the first time that The British Council has opened a branch in Jakarta. Going back a decade or so, they used to have a branch in the Indonesian capital which was located in the building on Jl. Sudirman that is now known as the Sequis Centre. We have no idea why the former British Council Jakarta closed down, but what happened next is very revealing. No sooner had the BC moved out than TBI decided to open its second Jakarta branch in the very premises The British Council had just vacated! Now, if you ask anyone at TBI Head Office whether they did this to try and give the impression that they were somehow related to the British Council, they would vehemently deny the accusation and act outraged. How dare you say that about our wondrous faux-British Institute! But surely the facts speak for themselves. Jakarta is one of the largest cities in the world, with millions of offices to chose from. Isn’t it a bit much to expect people to believe that it is just a coincidence they moved straight into the very premises just vacated by The British Council? The chances of it are millions to one. So the question becomes why. Why was TBI so desperate to have people associate it with The British Council? What did it stand to gain? The sorry truth is that TBI does not enjoy any sort of brand recognition outside the world of Indonesian TEFL. Few English speakers in Indonesia are likely to have heard of it, let alone amongst the population at large. TBI bigwigs are extremely envious of language training providers who enjoy an international reputation. They would love to be Wall Street, The British Council or other well-respected names, and they frequently obsess about these larger, more cashed-up rivals. By moving into the former British Council premises, they doubtless hoped to fool some customers that they were a branch or subsidiary of The British Council and gain some of their prestige by way of association. It is really rather pathetic if you think of it. But it is to such sneaky devices that PT. Titian Buana Ilmu, a thoroughly Indonesian company, tries to convince people that they are British and reputable. Sadly, they are neither.